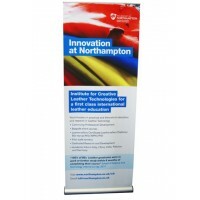 There are many styles of Roll Up Banners on the market, we have tested most of them. We select the best units and materials to suit your budget. So instead of confusing you with too many banner types, we have honed it down to 3 options which makes it easier for to choose from. The perfect solution for instant impact! 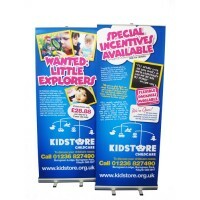 A very popular strong stylish design. 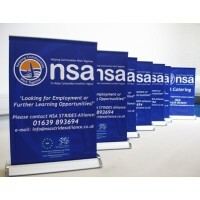 Proven as a reliable banner for regular use. 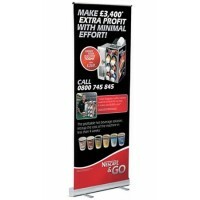 High quality roll-up banner display. Light weight and easy to transport in your bag!